HippoTile has been tried and tested as flooring for sheep, goats, rabbits, tapirs and dogs! Because it feels and acts like natural earth, and is strong and hard wearing, it is a viable alternative to concrete in all animal housings. Farming customers have reported that HippoTiles make excellent flooring for lambing ewes. The drier and cleaner environment they provide is a great health advantage. 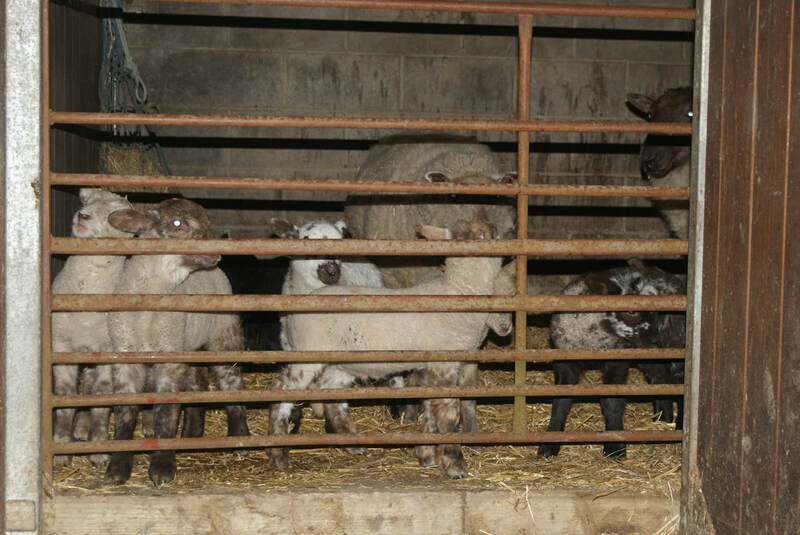 As they can be laid permanently or temporarily, they suit all types of lambing facilities. One of our customers has used HippoTiles in her innovation 'Raised beds for goats'. This application uses the draining and comfort qualities of HippoTiles to great advantage. For more details go to www.anglonubiangoatsociety.com and see Saving Ways with Hay and Straw in the KEEPING GOATS section. Suitable for so many different applications, HippoTiles could be used in zoos to provide flooring and drainage for many types of animals from small to enormous! Because they are strong, cushioning, draining and insulating, they would improve the welfare of many animals in captivity including the rhinoceros, elephant, giraffe and, of course, the hippo! HippoTiles feel and behave like natural earth, are much less cold to stand on, and are kind to all joints including those suffering from arthritis, ringbone and other ailments. As giraffes give birth standing up, being born involves a 2 metre fall for a baby giraffe. Best if it's not onto concrete! In March 2014, Chester Zoo, the acknowledged world leader in matters of welfare and enrichment for animals in captivity , allowed us to install a HippoTile Trial Site in the Tapir House. 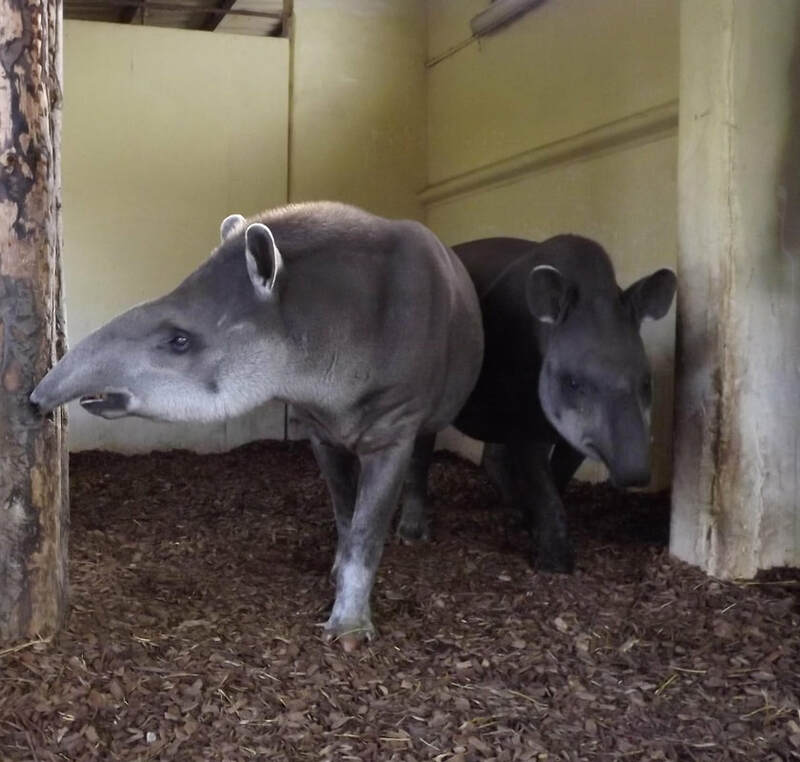 The tapirs, Cuzco and Jennifer, are already enjoying the more natural ground of woodchip on HippoTiles. Their keepers are hoping to save time in their busy schedule and to find that the bedding in this system lasts much longer. Other benefits, such as odour reduction, and insulation/warmth, are also being monitored. Follow our Facebook page for updates on Other Animals!